Inspired by the relaxed and exotic atmosphere of Indonesia, our Bali Lounge Set is an exquisite choice for your balcony, pool-side or garden. 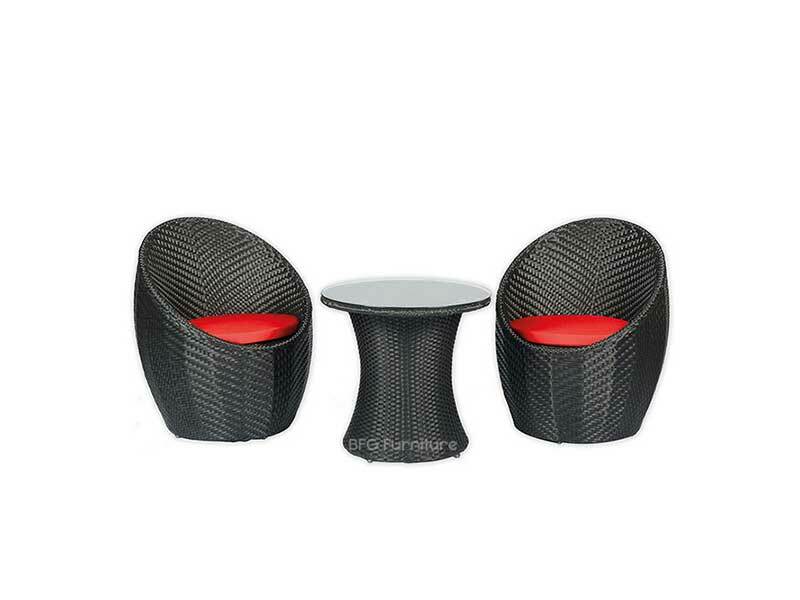 This high quality lounge set includes two chairs and a table. 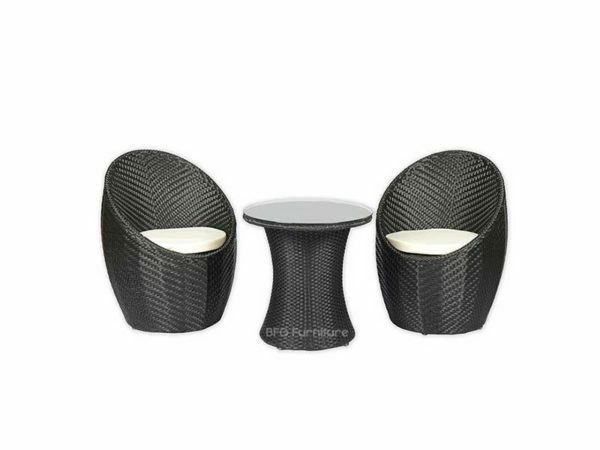 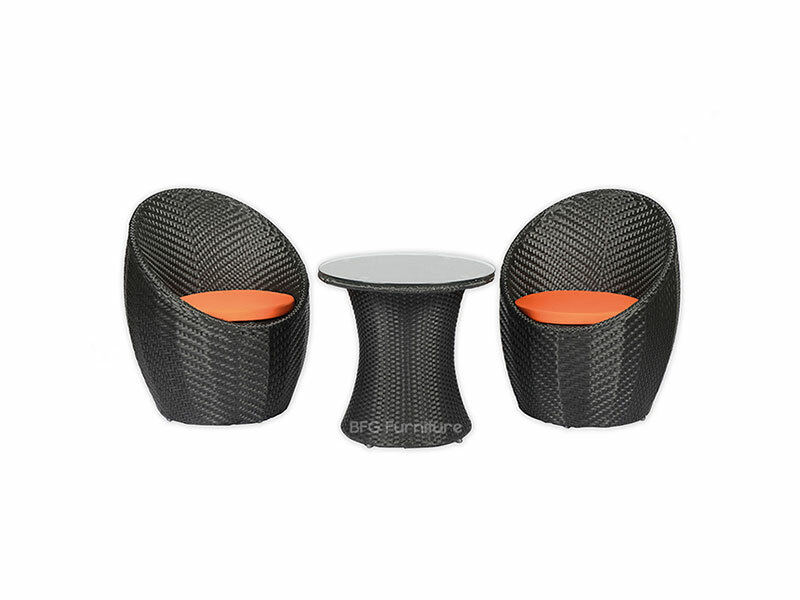 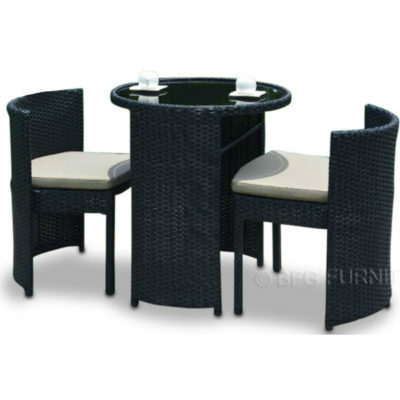 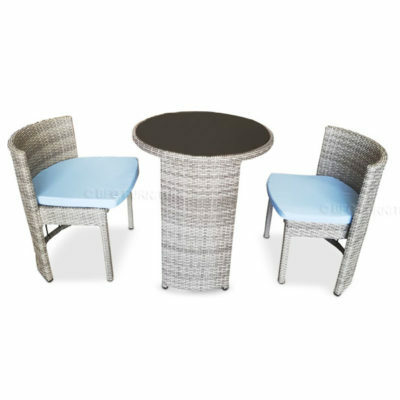 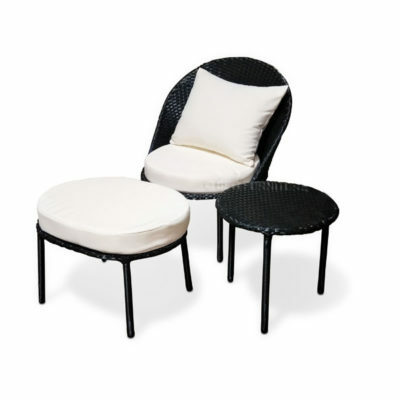 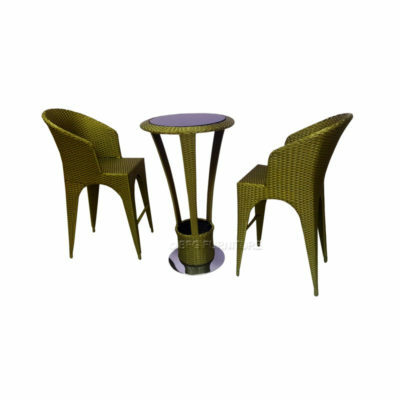 Crafted with elegant curved lines, the chairs are made from a textured basket-weave in black with soft seat cushions for an extra pop of colour, while the table has a practical glass top.